Online Dating really is social media taken to a whole new level. I began online dating four months ago and it occurred to me early on how similar the process was to the way businesses market their goods and services through social media. Maybe you only have a LinkedIn profile, or you're a member of a few Facebook groups, perhaps you have a Twitter account, or you might even create a couple of Facebook ads each year to grow your business or "all of the above and much more..." you are using social media to grow your brand and your business. Online dating is the same process! Step One: Create your brand identity. You must make yourself stand out amongst all of the other businesses, brands, DATING PROSPECTS. How will you do that? You'll describe your goods and services (or appearance and personality traits) in ways that appeal to and resonate with potential buyers. You'll appeal to their senses. You'll let your potential buyers know that you and your business are the ones to choose. There are so many different social media platforms out there, just like there are many different online dating sites. Each platform or site is used a bit differently and may attract different demographics of users. It's important to know where your specific "brand" belongs. Where should you be? Where do your potential buyers hang on on social media? Which online dating sites do the people you most want to date use? 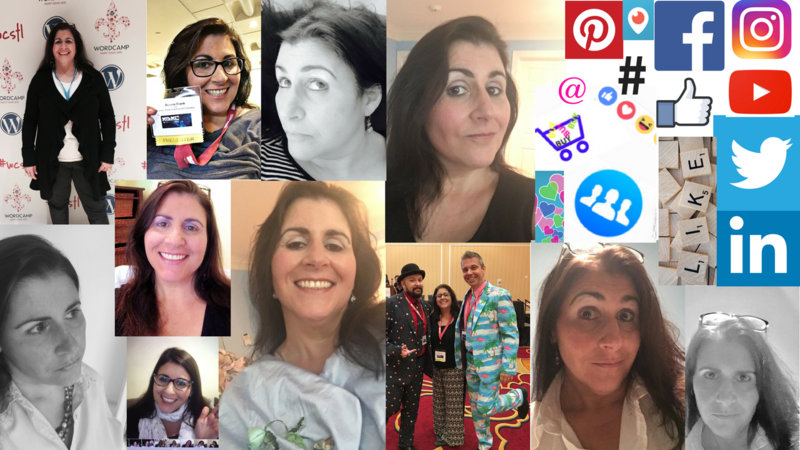 There is a learning curve to using social media effectively to grow your brand and your business--I know, I help folks with that for a living! There is also a learning curve to using online dating sites effectively; and, in my opinion, it can be a steep one for many people. Step Three: A picture (or video) is worth a thousand words. Of course, you'll upload wonderful (possibly edited) photographs and videos that show how wonderful your brands/businesses/DATING PROSPECTS are! These images and videos can say so much about your brand/business/DATING PROSPECTS and can be quite compelling for potential customers. Now you can also use livestreaming to get a jump on your competitors and catch possible customers with location and immediacy. Online dating sites are starting to use location services available on your cell phone to determine nearby dating prospects. Step Four: Your TLC is necessary! Whether it's social media or online dating, you cannot simply put the information "out there" and then leave it alone. You will need to revisit your social media platforms and/or online dating sites several times a week (or more!) to engage with your numerous online followers/customers/DATING PROSPECTS. You'll need to answer their questions, provide them with feedback, and you may have a question or two for them, as well, as you get to know them better. Step Five: Engage with them OFF the platform! If your followers/customers/DATING PROSPECTS are truly going to buy from you, it is very likely that they will want to meet you in person and/or do the purchasing off of the platform. For example, many people will do preliminary research for purchasing a car online, but they will go to a dealership and work with an actual salesperson they can speak with in person in order to buy the car. With online dating, at some point, you must actually meet your prospect! You may decide that you'd like to "Facetime" or Skype with them prior to meeting them in person. You might even want to give them your cell phone number so they can text you off of the app/platform. Even if your business is an online one and they're in another country, you will likely need their email address, phone number, etc. so that you can contact them off of the social media platform where you "met." After all, what happens when that platform isn't working correctly or even worse shuts down entirely? How will you be able to contact your customers/DATING PROSPECTS? If you'd like to know more about using online dating effectively, feel free to sign up for a free 20-minute consultation here.